In January 1938 William Coombs (1892-1948) and his family embarked on a trip beginning in Murwillumbah in northern New South Wales to Hayman Island. Rather than just taking one or two forms of transport, William outlines the complexity of travel arrangements. Along the way his journey involves travelling by bus, taxi, tram, suburban train, long distance train (Sunshine Express), private car, dinghy, motor launch, rail-motor and walking. William recorded the trip in his diary in great detail, including time spent in Brisbane preparing for the journey north and on his return from Hayman Island. 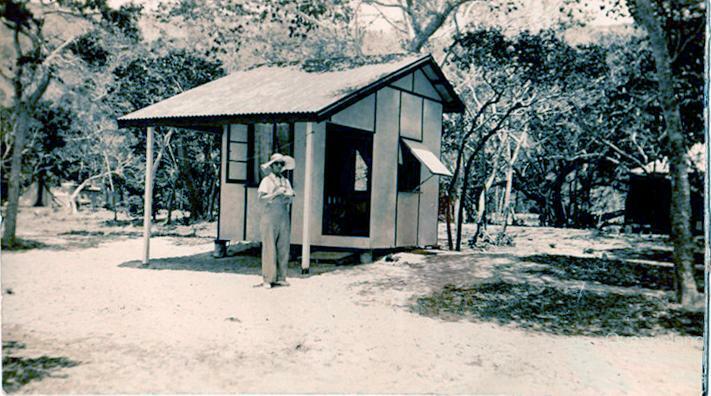 In 1936 the lease on Hayman Island had been transferred to the Hallam brothers who established a rudimentary holiday resort, mainly for fishing. Accommodation was basic: fibro huts, beach sand floors, central dining room and lounge, and cold showers in hessian shelters. The description was so faithful in details, so accurately written that we would like your permission to reprint the article. 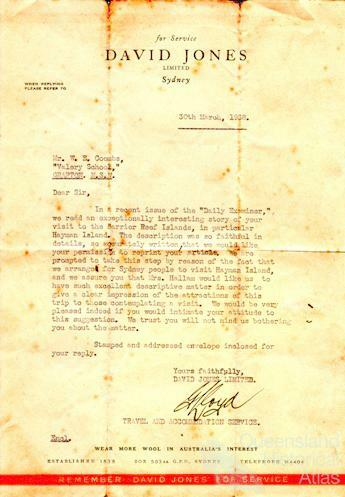 We are prompted to take this step by reason of the fact that we arrange for Sydney people to visit Hayman Island, and we assure you that Mrs Hallam would like us to have much excellent descriptive matter in order to give a clear impression of the attractions of this trip to those contemplating a visit. 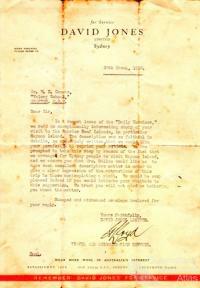 The following is William Coombs’ original 1938 diary of the journey in all its detail. We got up early at room 8 Court House Hotel & had a cup of tea. We took our luggage to New England office and left Murwillumbah at 7.30 am. In New England bus. Mt Warning was clear this morning. We came via Condong, Tumbulgum, Stott's Ck, Chinderah & over the bridge on to Tweed Heads. Then to Coolangatta, Currumbin, Burleigh Heads and to Surfers Paradise. I had a drink here while Beth had a cup of tea. We came on to Brisbane arriving 11 am. Mum Doris and Des met us. I got a yellow cab and we all came to Central Fire Station. After lunch Mum and I went by tram to the Arcade. Met Doris here. I went to Commonwealth Bank and back to Arcade & then to Govt Tourist Bureau in Adelaide St and made preliminary arrangements about our tour. Had a drink at Australian Hotel and Carlton Lounge in Queen St. I went down Ann St, and into Queen St and back to Adelaide St to the Tourist Bureau and got our tickets for Mackay, Proserpine and Hayman Is. Went to ‘Oxford House’ to see about a room for Clif, but none available. I went to Carlton. I got a tram over to South Brisbane and went to the Interstate Station and met Clif Brigden who came in the express 2.30 pm. We got a taxi back to Hotel Windsor at junction of Ann & Roma Sts and Clif got accommodation here. Fred Walsh is proprietor. We then went to Queen St, and saw Beth at Rosette Saloon in basement of Carlton Hotel, where she was having permanent wave. Clif and I went down Eagle St and we had to seek shelter out of a thunderstorm. After it passed, we walked to AUSN wharf and went on board SS ‘Ormiston’. Jean Perrett is going to Tasmania on this boat. We came back to Tourist Bureau and had a look at the specimens in the cases. We went to Queen St and went to Carlton and got Beth. We then went to Hotel Windsor and saw Clif safely there. Beth & I then went to Central Fire Station & had tea. Afterwards Beth & I went to Hotel Windsor and got Clif and we went to Regent Theatre and saw ‘Thin Ice’ and 'Charlie Chan on Broadway’. We went to Continental Coffee room in Adelaide St & had a cup of tea. Then we saw Clif to his hotel and we came to Central Fire Station arriving at midnight. After breakfast I went to Hotel Windsor and brought Clif to Central Fire Station. Then Beth, Des, Bert, Clif & I got a tram at Central Fire Station and got out at Albert St, and went to City Hall. We all went up the tower in the lift and had a wonderful view of the city. The clock chimed 10 am while we were up the tower. We came down the lift and visited the concert hall and had a look at the organ on the stage. We came out and went to the Arcade and met Mum and Beth. We left them and went along Queen St to Bowen Terrace and saw the new Storey Bridge under construction. We watched the ‘Canberra’ come to her wharf. We walked to Valley and went to McWhirters, and had lunch in the restaurant there, walked back to city to Albert St and had a look at fishing tackle there. Then we walked over Victoria Bridge to S Brisbane and back over the bridge & sat down on seats on the river bank at North Quay. We walked along Queen St to Customs and got a tram to Booroodabin Bowling Green & walked to Doris. Had a cup of tea. Saw Mrs Peek. Wally came home on his truck. We stayed till 5 pm then went to Mayne Junction & got a train to Central. We walked to Windsor Hotel and got Clif’s luggage & walked back to Ann St to Central Fire Station, and had tea at Nell’s. At 8 pm two blue cabs called and took us all to Central Station to Platform 4. A happy day (Mum is coming too) contemplating our wonderful trip and first visit to Barrier Reef. Bought reading matter at the bookstall on Platform 4. We had a three berth compartment. Berths nos 22, 23, 24 in car 18. Clif had berth 15 in car 18. We left Central Station in the second division of the Sunshine Express at 8.40 pm. As we passed Mayne I saw Wally & Dot standing on their verandah. Mum, Beth Clif and I then had a cup of tea in the compartment. I got a crumb in my throat, it was irritating. We turned into our berths at 10 pm. I had top berth, Beth middle, and Mum lower, in our three berth compartment. Still aboard the Sunshine Express. Reached Gympie 1.30 am I got out on the island platform and got thermos flask filled. I awoke at Baddow near Maryborough. I got out of my berth at Elliot just at sunrise. (I got out of my berth here on the 1934 trip) The country about here is sandy with banksia and Ti tree and heath with grass trees. It is not far to the shores of Hervey Bay. Long stretches of perfectly level straight railway line. Reached Bundaberg (217 miles) at 6.07 am and stayed 20 minutes. I got out on the island platform and had a walk about. Had a good view of main street with fine buildings. Left Bundaberg 6.27 am crossed Burnett River bridge. Many sugar cane farms about here. Crossed Kolan River 6.57 am, and immediately afterwards reached Avondale (232 miles) at 6.58 am. Ridgy country about here. Passed Yandaran (235 miles at 7.05 am. Tobacco grown here. Passed Littabella (239 miles) at 7.12 am. We pulled up at Takoko (240 miles) to let a goods train pass. Passed Mullet Creek (241 miles) 7.27 am and Watalgan (244 miles) 7.31 am big piles of sleepers are stacked about here. Arrived Rosedale (251 miles) 7.45 am. Got out here and got the thermos flask filled and Clif got a cup of coffee for Beth. Ridgy open forest country after leaving here. Passed Beranjinda (256 miles) 8.05 am. Pulled up at Lowmead (265 miles) 8.22 am. Blue gum logs here. Passed Korenan (272 miles) at 8.43 am. Pulled up at Makowata (275 miles) at 8.50 am. Open forest with grass trees here, nice gardens and shrubs on station platform. Passed Colosseum (279 miles) at 9 am. Nice shrubs on platform. High hills with pine forest and patches of scrub on west of railway line about here. Passed Miriam Vale (285 miles), a small town at 9.10 am. A range to the left of the line between here and Bororen (Calliope Range) (292 miles) where we arrived at 9.23 am. Stayed here and took in water. Big trucking yards here. Big cattle runs after leaving Bororen. Pulled up at Iveragh (301 mls) 9.52 am., Rodd’s Bay (307 mls) 10.6 a.m. Marrawing (310 miles) Crossed Boyne River 10.12 am. Good cultivation land along the banks of this river. Passed Benaraby (314 miles) 10.17 am. Toolooa (321 miles) 10.30 am. Mangrove flats in the vicinity and large tidal flats. Saw Gladstone Meatworks in the distance as passed Port Curtis Butter factory. We steamed into Gladstone (328 miles) at 10.45 am. A large steamer was anchored in Port Curtis. We all got out on the platform and had breakfast in R.R. room. We pulled up at Boyne Valley Jn (333 miles) 11.17 am. A goods train came in from Monto while we were here with pine logs. We crossed Calliope River, a broad stream, at 11.22 am. Passed Yarwun (339 miles) at 11.33 am. A peculiar shaped mountain in the distance, possibly Mt Larcomb. A big curve in the line round Yarwun. Passed Mt Larcomb homestead 11.45 am. Mt Larcomb (350 miles) a small town, was passed at 11.56 am. Passed Ambrose (354 miles) 12.03 pm. Undulating grassy paddocks after passing here. Stretching for miles (cattle runs) Arrived at Raglan (362 miles) 12.18 pm. Pretty shrubs on station. The engine took in water for five minutes here. Level country for miles after leaving here Arrived Marmor (370 miles) 12.38 pm. Big limestone quarries here and Bottle trees are numerous. Passed Sisalona (372 miles) 12.45 pm. Sisal hemp grows well here. Pulled up at Bajool (375 miles) 12.19 pm. Waited here for 25 minutes till Rockhampton mail train passed. Left Bajool 1.14 pm. After leaving Bajool there is level country for miles on each side of the line. Open grassy forest country for cattle runs. Passed Archer (381 miles) 1.24 pm. We are nearing Rockhampton now. Lagoons near line, wild geese in them. We reached Rockhampton (396 mls) at 1.55 pm. We got out here and had dinner in railway refreshment room. We then walked about the platform for a while. A very hot day. Rockhampton, a city, stretches for miles. We left Rockhampton 2.27 pm, crossed over Fitzroy River bridge 2.40 pm. A reef of rocks in the river near the bridge. Passed Park Avenue (399 miles) 2.42 pm. Had a look at Ron's Windmill for re-charging batteries. Ron took Clif and me for a run around Mackay. We went to Barney McGuire's Zoo and spent an hour in the gardens & Coral museum. Went into Wood, Sydney and Victoria Streets, also North Street, Wellington St and past the intermediate school. We went over the new bridge (Forgan) across Pioneer river to north side to Cremorne Hotel and back over the bridge, past the wharves to Ron's home. After lunch Douglas came and brought his little girl, Vivian & Thelma also came. Ron and I walked to Mackay Park and had a stroll around and got seeds. After tea we all sat on the front verandah in the cool. It was a very hot day. We watched Flat-top Island lighthouse flashing. It flashes four times and then goes out for 11 seconds. 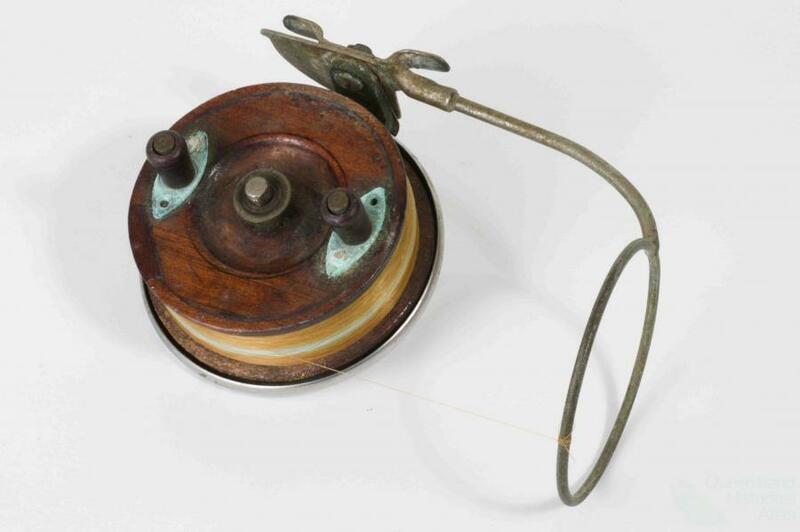 We also saw the new aerial beacon flashing in Morse code the letters MK //--/-.-//. Ron and I had a chat on front verandah after the others went to bed. Had some mangoes today. Spent the morning about Ron's home. Mt Jukes can be seen in the distance to the north, also Mt Blackwood. Ron, Clif and I went down to the beach. Ron & Clif had a swim. We came back for lunch. Afterwards Ron, Clif & I went in Ron's car via Gordon & Shakespeare streets out past the showground, and the hospital, and over the new Pioneer low level bridge (only recently constructed). We went on past Glenella State School, and past old Jenny Scoot's hut and then took a side track. We pulled up and had a feed of mangoes and put scores in the car. Cabbage tree palms are numerous on the hills in the vicinity. I got a fine specimen of butterfly. Green tree-ants annoyed Clif when he climbed after mangoes. Mangoes grow wild about here. We continued our trip on to Farleigh, a small settlement with a large sugar mill. We came back from Farleigh on the bitumen road to Mackay. We called and saw Douglas and Phoebe at their home in North Mackay. We came back over the new Concrete bridge (under construction). Saw the new Ambassadors Hotel. Then we came along Victoria St, and past Mackay Park and Park State School home to Ron's. After tea McLaghrin & his wife & daughter came, also Viv & Thelma and we chatted on the verandah till 10 pm. Mosquitoes were in millions tonight. Douglas gave me Uncle Jim's Black Palm Rod to-day. He made it years ago. After tea Ron drove Clif and me to the Mackay station with luggage. Aunty Mill, Mum, Thelma, Beth & Vivian walked. Ron, Viv & I had a drink in the bar on the platform. Beth, Clif & I said good bye to them all. Mum is staying with Aunty Mill & Ron till Beth, Clif & I return from Hayman. We left Mackay at 8.15 pm in the new Sunshine Express, we got out at Bloomsbury and got a cup of tea. Reached Proserpine (673 mls) at 11.05 pm. We went to Palace Hotel and got rooms for the night. Our room led on to front Balcony. Clif’s led on to a side balcony. This is my first visit to places north of Mackay. (Bert Hallam had arranged with the proprietor to give us accommodation as the weather was rough on the coast and was too rough for us to sleep aboard the “June” at Cannon Valley next door. A picture show next door. We had breakfast at the Palace Hotel in Proserpine. We then went for a walk about the main street, saw the Sugar Mill. Met Ron, Hallam’s man. Clif and I went to a bookshop and bought reading matter for Beth. Mr Colin Dodd called at the Palace Hotel and told us we could go with him, instead of going on Hallam’s bus to Cannon Valley. We had a pleasant drive to Cannon Valley 16 miles distant with Mr & Mrs Dodd in their car through cane fields. Saw Leichhardt trees growing in the bush on way. We reached Cannon Valley and had a look round. This beach settlement is situated on the shores of Pioneer Bay. We were rowed out to the auxiliary cruiser “June” by Ron and Ern in the dinghy. While we were here we saw Caldwell, who lives at Grassy Island and who wrote “Fangs of the Sea”. He was in his small motor boat. We left Cannon Valley 10.45 am in the “June” in charge of Ern. The passengers were Mr & Mrs Colin Dodd & family, Mr & Mrs McWalters & daughter & several other people. A fair sea was running “June” developed engine trouble owing to seaweed in the pump & this caused a delay about 3 miles out. Mr Dodd was seasick. We saw Grassy, Armit, Double Cone, on the port side, and had our first glimpse of the famous Whitsunday Passage, North & South Molle, Day Dream, Hook, Whitsunday and of course Hayman, the most northerley (sic). We cruised in past Langford Island and landed on Hayman Island 1.45 pm. Just in front of the buildings is the blue lagoon and Arkhurst, Longford, Bird, Beach islands just behind. Flanking them on the southern side is Hook Island and in the background is the mainland of Australia. The sea water in this region is a pretty pale blue colour. There are three motor launches at present. The “June” 42 feet long 11 ft beam, the “Dawn” and a hired boat the “Victory”. After dinner we sat on the rug on the sand out in front of the dining hall, and near the blue lagoon. I received a telegram from Clif’s mother. New Year Greetings. We retired to our cabins about 10 pm. We are all expectancy and to-morrow we will be amid the wonders of the Great Barrier Reef area. We arose early and went along the beach to the reef at the southern end of Hayman. We saw for the first time Beche-de-mer in thousands, Clam Shells, Long Spined Sea Urchins, and young coral. We came back to breakfast. Afterwards Bill Tunstead of Woodburn and I had a chat and got our rods ready. The men went in the launch “Victory” in charge of Ern and the ladies in the “Dawn” in charge of Bert Hallam who only got up to day after measles. The ladies landed on Hook Island and prepared lunch. The men fished out of the “Victory” and dinghy. Doug Hogan hooked a shark 8 ft long. We cruised to Hook Island, landed on a sandy beach and had lunch with the ladies. Beth and Mrs Hallam went for a stroll. Beth gave Hallam a headache powder. This island is densely clothed with tropical vegetation and forests of Hoop Pine are much in evidence. Bottletrees are here. Clif and I gathered seeds & Clif got “goat” seeds. We cruised back to Hayman about 5.30 pm and after dinner we sat and chatted with Dodds on the sand in front of Dining Hall. The “Canberra” called at the island tonight for passengers, who went out in the “June” to meet her. I saw her lights going down Whitsunday Passage from my cabin window. The guests at present at Hayman are, Mr & Mrs Hogan, Doris & Douglas Hogan, Charlie Reid, Bill Tunstead, Mr & Mrs Colin Dodd & child, Mr & Mrs McWalters & daughter, Mr Everett, Mary Irving, Emily Irving, Andy Williamson & wife, Fred, Mr & Mrs Salisbury and ourselves. The tropical nights are delightful at Hayman Island. Bert Hallam came to our cabin and had a chat with us. After breakfast the tourists went aboard the “June” and cruised out between Hayman & Hook islands, and down the eastern coast of Hook. Glorious views, wonderful cliffs and rock formations. Forests of Hoop-pine. We cruised nearly to the end of Hook and then cruised back. Saw turtles, a huge shark fin down Hook. We cruised up the eastern side of Hayman Island. I got a snap of the “June” out from the northern end. I pulled away in the dinghy to get the photo. We had wonderful views of coral reefs through the waterscopes. We cruised round to Arkhurst Island. It is well clothed with pine, Bottle trees are there too. We all landed from the “June” in the dinghy and were rowed ashore and walked around the track to the guest house. The “June” cruised round and into the Blue Lagoon. Bert Hallam told me to-day that two men landed 203 mackerel in 3 weeks. I was much impressed by the wonderful scenery and all I saw to-day. Clif, Beth & I went shell hunting early this morning. Scorpion, Bailer, Paralyser & Cowries were obtained. The water is delightfully clear. I had a chat with Bert Hallam in the Bar tonight. I arose early and went to reef at southern end of Hayman. Saw a herd of white goats here. I had a swim in the clear cool water in a pool on the reef. Came back for breakfast. Afterwards I had a chat with Ern, the skipper. Spent the forenoon about the guesthouse. Had a chat on front verandah with Dodd, Salisbury and Charlie Reid. After lunch we went in the “Dawn” and between Black and Hook Islands and fished. Beth and other ladies went ashore on Black Island. Beth got a piece of soft coral and an assortment of small shells washed up on Black Island. Emily and Mary Irving were ashore with Beth. Bill Tunstead, Colin Dodd and I fished out of the “Dawn”. We brought the ladies aboard and Beth helped Bert Hallam get afternoon tea aboard. We cruised back to Hayman Island about 5 pm. Beth was sick (seasick). Clif went to Cannon Valley with Ern on the “June” today, and arrived back at 7.30 pm. I paid Mrs Hallam £5 for Clif’s second week at Hayman. He is going to remain another week after Beth and I go. Delightful sunsets. I got up early and had a cup of tea in the kitchen. Beth and I went for a walk out behind the guest house to the foot of the high hill, nearly to the well. Another turtle had come ashore this morning. We followed the track and found where she had dug a hole, the sand was scattered in all directions. We came back and had breakfast. Had a chat with Ern. I went over to Andy Williamson’s cabin and he cut my hair. Beth and I had a chat with Mrs Hallam, and bought a collection of shells from her 2 bailers, 1 clam, 4 scorpion, 2 cone, 2 cowrie & 2 marbled cone. She gave us a piece of rare black coral. She packed the shells in a carton ready for us. We all got ready for a cruise. The men all went aboard the “Dawn” and the ladies on the “June”. We followed Hook Island along and cruised into Nara Inlet and fished. We went for about 2 miles up the inlet, caught red emperor. Echoes were remarkable here when we called out. The clearest I have ever heard in my life. Small sharks were in numbers in this inlet. We came back to the ladies aboard the “June” and all had lunch together. Ern took the ladies back to Hayman in the “Dawn” and Bert Hallam took charge of the “June” and the men continued the voyage down Whitsunday Passage. We cruised around a small island near Cid Island & Bill Tunstead got a 40 lb mackerel. I hooked a large one but it broke away. We then cruised back and into Cid Harbour where we anchored for the night in a sheltered cove. Bert Hallam and I had a chat on deck tonight. Heard a dugong blowing. We all went to our berths aboard the “June”, a delightful experience. A terrific thunderstorm tonight with vivid lightning. I had a berth in main cabin. The party aboard the “June” is as follows: Bert Hallam & Ron, Bill Tunstead, Mr McWalters, Colin Dodd, Mr Salisbury, Andy Williamson, Mr Hogan, Charlie Reid, Douglas Hogan, Clif & myself. Awoke early and had a cup of tea aboard, then we cruised out between Cid Island and Whitsunday Island and down the Whitsunday Passage to Henning Island. We anchored here and had breakfast aboard the “June” (fried Spanish Mackerel). We then went ashore in the dinghy and had a look over the island. We climbed to the top of the hill and had a wonderful view. 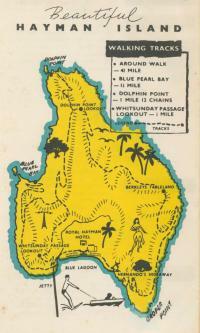 Saw Pentecost, Hamilton, Lindeman & Dent Islands and right down Whitsunday Passage to Cape Conway. A good view also across the Passage with Pine Island and the mainland. We cut bunches of bananas and got paw paws at a deserted plantation. This is a beautiful island. Scrub hens are here and their large nesting mounds. I climbed up on one big mound. There are patches of Dense scrub with Palms. I got a fine specimen of a bean. Mr Dodd climbed a tree and secured it for me. We came back to the “June” and then cruised round to Gulnare Inlet to get oysters. The largest I have ever seen. It poured rain. Gulnare is a fine inlet extending miles inland on Whitsunday Island. The steep hills, pine clad, rise abruptly from the water’s edge. We cruised out of Gulnare Inlet and on the outer side of Cid Island. I caught a large Coral trout while trolling. The chaps gave me a clap. We came back to Marcona Inlet; and then cruised back to Black Island & fished here for a while and then back to Hayman. We packed up and had dinner and signed the visitors book and all assembled on the beach to bid us good-bye, Bert & Mrs Hallam told us to come again. We boarded the “June” and Ern & Ron took charge. Mr and Mrs Waters & daughter, Andy Williamson & his wife also left to return to Proserpine. We waved to those at Hayman till we were almost out of sight. Clif accompanied us for the trip. He is staying another week at Hayman. It was 6.30 when we departed from Hayman Island. Sorry, indeed, to be leaving this ideal spot. Darkness closed on us half way across Whitsunday Passage. A large steamer passed us astern. We saw Eshelby light flashing. It flashes twice and then pauses. We crossed to Cannon Valley in 2¼ hours. The “Day Dream” was at anchor here. The bus met the “June”. We said good-bye to Clif. Ern rowed us ashore in the Dinghy and bid us good-bye. We got aboard the bus after saying good bye to Andy Williamson & his wife and Mr and Mrs McWalters. We came to Proserpine and went to the station with our luggage. We walked back down the main street and went to ABC Café and had a cup of tea. We walked back to the railways station and waited for the Sunshine Express. Our delightful stay at Hayman will never fade from our memories. The most interesting and delightful holiday I have ever spent. Bert Hallam & his wife are ideal host and hostess. We left Proserpine about 3.30 am. In the Sunshine Express. It was breaking day when we reached Bloomsbury. I saw the Leap, Pindi Pindi, Kuttabul with its pretty gardens & Farleigh. Mum, Aunty Mill, Ron & Maisie were on the platform at Mackay to see us and say good-bye. Mum got aboard with us. We stayed 25 minutes at Mackay. We waved good-bye as we came round the curve out of Mackay and sped away for the south. Many brolgas crossing Waverley Plains. Had dinner at Rockhampton and tea at Gladstone. Passed Miriam Vale 7.15 pm. There are 12 coaches and two engines comprising the train. I went to my berth at Miriam Vale. Beth, Mum and I had a three-berth compartment in car 4. Caught a train at Mayne Jn. And came to Central station. Went to New England office in Adelaide St. and booked seats. Then went to valley to McWhirters and bought a tropical suit. Had a drink at Royal George Hotel. Went to Central Station & had lunch with Bert, Nell, Mum & Des. After lunch I walked about the city. I bought a plate brush at Spiers Chemist in Valley. Went from Mayne Junction to Central in Rail-Motor. Met Doris and Beth at the Arcade. Went to Nissens and got a watch each for Jack and Eunice. Went to Finneys and then we came into Adelaide Street, and went to Astoria Café at corner of Adelaide & Edward Sts. and had lunch. We took a tram to the Valley. I went to Mc Whirters and bought a hat. Went back to the city and over to South Brisbane. Walked back over Grey Street Bridge. Went to Woolworths. Caught a train from platform 5 at Central Station to Mayne Jn. Wally, Dot, Beth & I had a chat after tea. I went by train from Mayne to Central, got out at platform 3, went through subway to Ann Street. Bert and I left Central Fire Station in a tram and went out to cricket ground at Woollongabba and watched Sheffield Shield match Queensland v Victoria. Saw last five batsmen of Victoria bat. Victoria made 396 runs. Queensland batted and at close of play had lost 4 for 163. I left the ground at 4 pm. And got a tram back to the city. I went to central and got a train to Taringa 4.40 pm. Went to Dolly at Taringa Railway station. Wally, Dot, Beth, Mrs Bell, Miss Bell, and Jean were here. We spent a pleasant evening. We left at 10 pm. And came to central by train, and then changed and got another train from platform 5 home to Mayne. Saw the Sunshine Express run in at 6.20 a.m. (14 coaches). It is showery this morning. Spent the morning at home at Dot's. After lunch Beth and I got a train at Mayne Jn. And went to Central Station. We walked along Ann St. to Central Fire Station and spent the afternoon with Bert, Mum & Nell. We left and came back to Mayne by train from Central railway station. Beth, Dot and I went to Mayne Jn. and left by train and came to Central. Went to the arcade and met Mum. Had our lunch at Astoria Café. Afterwards we met George Schafer and had drinks at Carlton Hotel. We went to the Valley. I went to McWhirters and bought suitcase. We caught a train at Brunswick St. station and came to Mayne. I went down to Newstead wharves and saw a Norwegian motor vessel “Goonewarra” from Gottenberg, The “Huntingdon” was also at the wharves. After tea I went with Mum to Mayne Jn & took her home to Central fire station. I came back to Platform 6 and got a train back to Mayne Jn. and home to Wally and Dot. Dolly Perrett came out to dot’s for a while. I went back to Central Station with her. I came back home to Dot’s about 2 pm. Spent afternoon at home with Wally, Dot & Beth. I got on a train at Mayne Jn. and went to Central Station to platform 1. I met the Sunshine Express when she arrived from the north and saw Hogan & family, Bill Tunstead, Charlie Reid & Clif who arrived from Hayman. Clif & I got a train to Mayne. We came back to city after breakfast. Went to Commonwealth Bank and G.P.O. Went to Central Fire Station for a while. Afterwards Clif & I got a tram and went to Queensland Museum. Sir Leslie Wilson, the Governor of Queensland was there too, making a periodical visit. 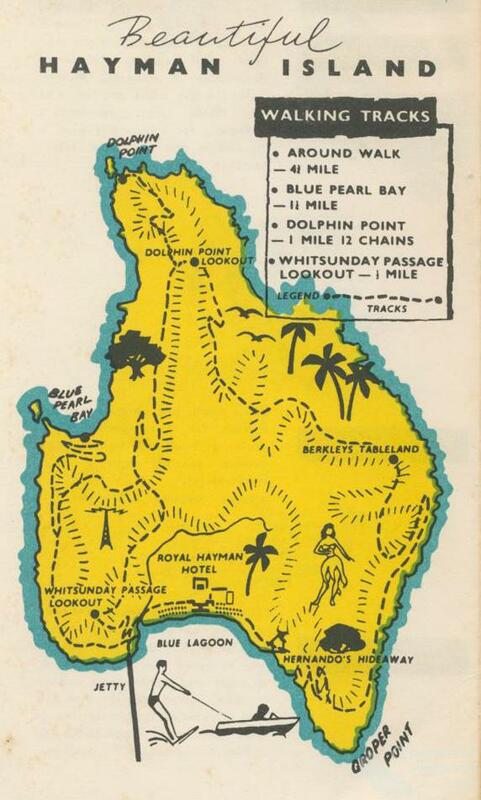 In 1948 the Ansett Airlines subsidiary, Barrier Reef Resorts, acquired the lease on Hayman Island and, in anticipation of a Royal Visit, built the Royal Hayman Hotel resort in 1950.